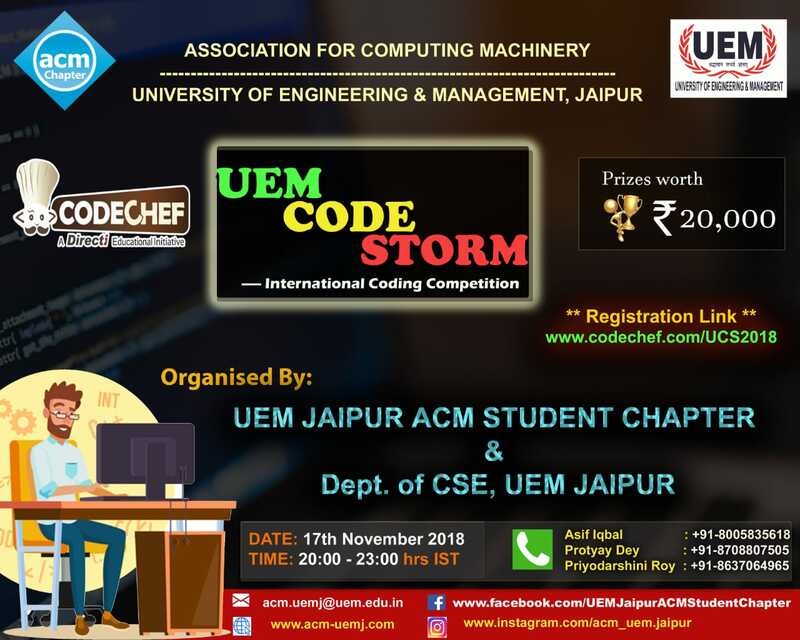 Organiser: The contest is hosted by University of Engineering and Management, Jaipur. Prizes: 20000 INR up for grab. Please contact protyayofficial@gmail.com for any queries during the contest. For the problem UCS06, the constraints for L and W have been updated. For the problem UCS03, the constraints for K have been updated.